I never know exactly what will seed the idea of returning to EVE in my brain these days. Recently, the hype for VR and Valkyrie tends to help, although sometimes it can be something as tangential as a planetary transit or someone asking me what games I play. Haven’t logged in or even been subscribed for a few months? You bet I’m an EVE player. This time, it was the pull of social media. Despite my long absence and even longer irrelevance to the metagame as a whole, I still follow some good EVE folks on Twitter. Occasionally, as they did this time, their gleeful backbiting and general bitterness stirs the demons of addiction within me, and I find myself navigating CCPs Account Management page, cursor hovering over the ‘Hours for PLEX’ button. This time, I clicked it. After patching my client into this year, I was somewhat surprised to notice that I still belonged to a corporation and alliance (a relic of my last dalliance with New Eden). Furthermore, I had just enough ISK in my wallet to cover a PLEX, so as not to abuse my CCP-granted extension. Clicking on my eternally smug portrait, I stopped Winning Eve, and logged in. Taking a moment to assess my HUD, chat channels and contacts list (RIP watchlist), I almost didn’t notice that I was still sitting in a fully-loaded Machariel. Sweet. Apparently purchased to try and relive some strange newbie fantasy (back in my day, these things cost a billion for the hull alone! 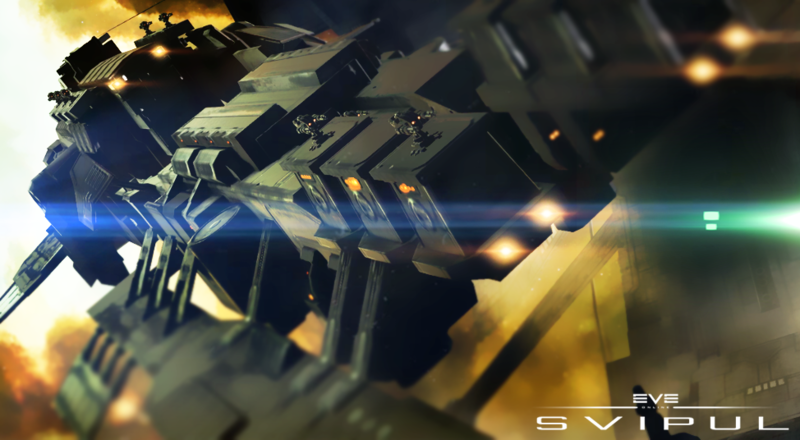 ), it had served as another attempt at a PVE vessel. Now, it was capital waiting to be liquidated. No longer would a PLEX leave me destitute, as my CEO offered to buy it from me for nearly full price. Between that and the generosity of a corpmate, I squared my account with CCP without draining my wallet completely. Meanwhile, I had connected to TeamSpeak, and, to my surprise, was greeted warmly by my comrades-in-arms. After the CEO and I finalized the terms of the Machariel contract, the normal evening chatter returned, and I relished it. Fittings and modules were thrown around, ships distributed, and tactics and fleet compositions discussed. After spending so long learning all of this jargon, hearing it in its natural environment was oddly soothing. A roam was quickly decided on, and slightly less quickly, we got underway. Having just sold my only ship, someone handed me a Svipul. To everyone’s surprise, not least of all my own, I had trained Minmatar Tactical Destroyer to V at some point, so my glass-cannon, Sensor Boosted slice of metagame cancer was pushing out a respectable 350 DPS with artillery. At this point, I started taking notes for this piece on the other monitor, the Svipul spinning in my hangar mirroring my uncertainty with the formerly familiar. How do these modes work? How on Earth did I manage to write articles in the past? 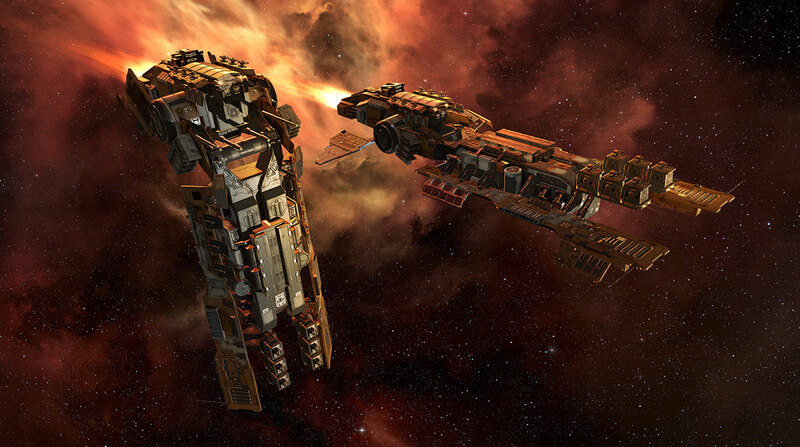 What was CCP thinking in making this wonderful, terrible little ship? Continuing to serve as a very tangible (for pixels) metaphor for my writing career in this game, the basics were still there. I loaded ammo, grabbed a handful of Nanite Paste, and renamed my ship while brushing up on the latest happenings in New Eden on the other screen. Gradually, the old habits bubbled up. I cruised r/EVE while spreading my guns for optimal heat dispersion, and loaded up some old article while I undocked and puttered around, getting a feel for switching modes, the speed and agility of the Svipul, and trying to remember why anyone would read what I wrote, much less pay me spacebux to do so. Rudely interrupting my existential writer’s block, the FC called for our motley little crew to undock and head out, and off we went. Assembled on the gate, I sized up our little flotilla. Spearheaded by a Nighthawk (why did they make this a Drake hull? ), our mostly-shield-tanked gang included a Vagabond, two fast-lock/tankless Svipuls including myself, a Falcon, an Ashimmu, a handful of light tackle, a Sabre, and an Anathema for covert scouting. Truly, a fair fight waiting to happen. We set destination for a known hotspot nearby, and added waypoints for another system further down the pipe. While some fleetmates complain about the 22-jump route outlined, I grin. It isn’t a proper roam if you’re not crossing at least three regions. Almost immediately, I accidentally jump a gate when the fleet was instructed to hold. Whoops. Within in a few jumps, a scout reports an enemy Svipul sitting on a drag bubble, and with some crafty maneuvering of bait, I contribute to my first kill in months (and reacquaint my pirate’s palate with the sweet taste of pod goo). I realize these might not be the dank frags you would expect on your average roam report, but I have to start somewhere. Plus, using a Svipul to take down another almost absolves me of flying one in the first place, right? At this point, I’m still switching between modes as often as I’m allowed, giving my Svipul the appearance of some monstrous space octopus frantically swimming through the cosmos. My fellow Svipul pilot notices and instructs me to remain in Sharpshooter configuration to grab anything we stumble across on a gate, and I grudgingly comply. En route to our destination, we stumble into another kill (and another worthless pod) in the form of what appears to have been a PvE fit Vexor Navy Issue. In my journey to 90 million skillpoints, I never did pick up the art of generating income via in-game activities, but I definitely know enough to not sit 15 km off a gate in an afterburner-fit cruiser. By now, I feel as though I’m finally starting to get back in the groove. Sliding between modes (which I keep calling “stances” for some reason) is no longer a chore, and as instructed, I remain in Sharpshooter mode more often than not. I’m orbiting gates when we pause, and confidently and concisely relaying information when I briefly replace our forward scout while he orders a pizza. No one has as much as fired a shot at my humble vessel, which seems fortunate. Sensor Boosters are not renowned for the durability they bring to a fit. A small group of battlecruisers with Scythe backup chase us for a few jumps, but our Sabre pilot makes quick work of their pursuit. Eventually, however, we encounter an Orthrus, who seems determined to harass us. Our FC coordinates our covert comrades expertly, and after a long shower of unanswered light missiles, the Orthrus is tackled, jammed, and annihilated along with his slightly less empty pod. Securing both kills with all the finesse 280mm artillery and Sensor Boosters allow, I’m overjoyed. Over TeamSpeak, everyone is babbling happily as the FC steers us home, our scouts reporting clear skies ahead. This is what I missed. The compliments flying to the interdictor and tackle pilots, the cheerful division of loot, and the good-natured joking around while everyone finishes their beer as we burn back home. This is where I belong, with a small gang of mostly capable pilots, who take things just seriously enough to make an 11:59pm roam the highlight of my day. Where I know that the Vagabond has a bit of a death wish, and the Sabre pilot names his ship to indicate the number of days since he last bubbled his own fleet to death. We’ll never make the headlines, but the memories are always a better trophy anyways. This is my EVE, where, like any good roam, I never know exactly where a particular outing will end up. As with any journey, it’s best when you have a few friends along, and it’s why I will fly small gangs until the day the servers go silent and cold. For now, I’m back, my routes are chosen, and the fleet is up. Twyndyllng is a pirate, born and bred. After cutting his teeth learning PvP in greatest hits such as the Laser Merlin, he went criminal and hasn’t looked back. He likes autocannons, interceptors, space bushido, and long roams through backwater lowsec.